Gilenya capsules contain the active ingredient fingolimod, which is a type of medicine called an immunomodulator. Relapsing/remitting multiple sclerosis in adults whose condition hasn't responded to treatment with at least one disease-modifying therapy, or for people who have rapidly evolving severe multiple sclerosis. It is not fully understood how fingolimod works in multiple sclerosis, because the disease and its cause are not fully understood. However, it is thought to help reduce the frequency and severity of the relapses by lowering the number of lymphcoytes (a type of white blood cell) in the central nervous system. Fingolimod prevents the release of these lymphocytes from the lymph nodes. This stops them from moving freely into the central nervous system, where they can damage nerve cells in the brain and spinal cord. Fingolimod helps to reduce the frequency and severity of the relapses. It doesn't cure the disease. Gilenya capsules can be taken with or without food. One capsule should be taken once daily with a glass of water. If you take the capsule at the same time each day it will help you remember to take your capsule. If you forget to take your capsule, take your next dose as usual the following day. However, if you forget to take one dose for a whole day in the first two weeks of treatment, contact your doctor before you take your next dose. Your doctor may want to keep you under observation when you take your next dose - see the warning below. This also applies if you miss seven consecutive doses in weeks three or four of treatment, or more than 14 consecutive doses after one month of treatment. Never take two capsules in one day to make up for a missed dose. The electrical activity in your heart should be monitored using an ECG before treatment with Gilenya is started. This medicine can cause your heart rate to slow down when you first start treatment, which could make your blood pressure drop and make you feel tired or dizzy. It can also cause an irregular heart rhythm with the first dose. For this reason, when treatment with Gilenya is first started you will need to stay at the surgery or clinic for at least six hours, so that your heart and blood pressure can be carefully monitored. If you need treatment for any heart or blood pressure problem you may need to stay in overnight. An irregular heartbeat should return to normal within 24 hours of starting treatment and a slow heartbeat should return to normal within a month of starting treatment. If you have a break from treatment (accidentally or otherwise) the same effects on your heart and blood pressure can happen when you start treatment again. This can happen if there is a break from treatment of one day or more during the first two weeks of treatment, more than seven days during weeks three and four of treatment, or more than two weeks after one month of treatment. In these instances your doctor will want to keep you under observation as above when you take your next dose. If you have never had chickenpox you could be at risk of severe chickenpox while having treatment with this medicine. Your doctor will want to check your immunity again the chickenpox virus. If you are not protected against the virus, you will need a vaccination before you start treatment with Gilenya. If you have the vaccination, then starting treatment with Gilenya will be delayed by one month. This medicine can decrease the number of white blood cells in your blood. A low white blood cell count can increase your susceptibility to infections. For this reason, you will need regular blood tests to monitor your blood cells during treatment with this medicine. Tell your doctor immediately if you experience any high temperature (fever), flu-like symptoms or any other signs of infection during your treatment and for at least two months after treatment is stopped. You should have an eye test before starting treatment with this medicine and again three to four months later. 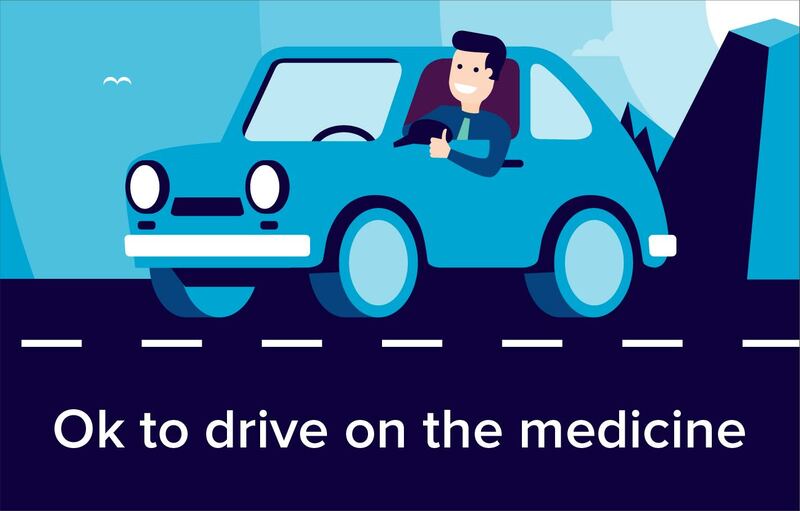 If you experience any disturbances in your vision, such as blurred vision or a blind spot in the centre of the eye while taking this medicine you should consult your doctor. This is because Gilenya can sometimes cause a condition called macular oedema, which is swelling in the area at the back of the eye that allows you to see shapes, colours and fine detail. Your doctor will want you to have blood tests to check your liver function before starting treatment with this medicine and regularly while you continue to take it. You should tell your doctor if you experience any unexplained nausea, vomiting, abdominal pain, fatigue, loss of appetite, jaundice and/or dark urine while taking this medicine, as these could be signs of a problem with your liver. The effects of this medicine can last for up to two months after treatment is stopped. Elderly people aged over 65 years. People with heart or circulation problems such as those below. People with a serious defect in the heart's electrical message pathways resulting in decreased function of the heart (2nd or 3rd degree heart block or sino-atrial block). A problem common in the elderly, related to poor control of the working of the heart (sick sinus syndrome). People with heart disease caused by inadequate blood flow to the heart (ischaemic heart disease) eg angina or a history of heart attack. People with a slow heart rate that causes symptoms such as dizziness, feeling sick or palpitations. People with a personal or family history of an abnormal heart rhythm seen on a heart monitoring trace (ECG) as a 'prolonged QT interval'. People taking medicines that can cause a prolonged QT interval on an ECG, or that can slow down the heart beat (see end of factsheet for examples). People taking medication for an irregular heartbeat (arrhythmia). People with a history of stroke or mini-stroke (TIA). People with a history of frequently fainting. Uncontrolled high blood pressure (hypertension). People with severe sleep apnoea. People with severe lung disease such as pulmonary fibrosis or chronic obstructive pulmonary disease (COPD). People with mild to moderate liver problems or a history of liver disease. People with a history of inflammation of the middle layer of the eye (uveitis). People whose immune systems have a decreased ability to fight infection and disease, eg due to conditions such as AIDS or immunodeficiency syndromes, or treatment with medicines such as chemotherapy or immunosuppressants. People with long-standing active infections such as hepatitis or tuberculosis. People with severe active infections. People with cancer (except a type of skin cancer called cutaneous basal cell carcinoma). People with severely decreased liver function. The safety and efficacy of this medicine have not been established in children and adolescents less than 18 years of age. It is not recommended for this age group. This medicine should not be used during pregnancy as it could be harmful to a developing baby. Before you start treatment your doctor may want to do a pregnancy test to make sure that you are not pregnant. Women who could get pregnant should use an effective method of contraception to prevent pregnancy, both during treatment and for at least two months after stopping treatment. If you think you could be pregnant at any point during treatment you should tell your doctor straight away. Seek further medical advice from your doctor. Fingolimod may pass into breast milk and could have unwanted effects on a nursing infant. Women who need treatment with this medicine should not breastfeed. Seek further medical advice from your doctor. Problems with the conduction of electrical signals between the chambers of the heart (atrioventricular block). Decrease in the number of white blood cells in the blood (see warning section above). Weakness or loss of strength. Rasied levels of fats called triglycerides in the blood. Abnormal results in liver function tests. Herpes virus infections, eg cold sores, shingles. Infection of the lungs (bronchitis). Inflammation of the sinuses (sinusitis). Fungal infections (tinea), eg athlete's foot, ringworm. Swelling of the back of the eye (macular oedema). It is important to tell your doctor or pharmacist what medicines you are already taking, including those bought without a prescription and herbal medicines, before you start treatment with this medicine. Similarly, check with your doctor or pharmacist before taking any new medicines while having treatment with this one, to make sure that the combination is safe. Other immunomodulating medicines, immunosuppressants and anti-cancer medicines should not be given at the same time as treatment with fingolimod, because these medicines may have an additive effect on the cells in the immune system and could increase the risk of infections. This includes other medicines used to treat MS, such as beta interferon, glatiramer acetate, natalizumab or mitoxantrone. However, short courses of corticosteroids used to help control flare-ups of MS have not been shown to increase the risk of infections. certain macrolide antbiotics such as clarithromycin or telithromycin. the herbal remedy St John's wort (Hypericum perforatum). You should not take St John's wort in combination with Gilenya. certain antimalarials, eg mefloquine, halofantrine, chloroquine, quinine, Riamet. This medicine affects part of the immune system. This means that vaccines may potentially be less effective if given during treatment, and live vaccines may cause serious infections. Live vaccines include: measles, mumps, rubella, MMR, oral polio, oral typhoid and yellow fever. It is recommended that live vaccines are not given to people being treated with this medicine and for two months after treatment with this medicine has been stopped.